Fruit Blox online slot by Red Tiger presents a modern Vegas-style fruity online slot set in a 4×6 grid. Traditional slot machine elements such as the Number 7, Star, Bell, BAR icons plus an array of fruit symbols, earn rewards for players. That is if a minimum of 3 alike images land in connected reels, starting from the leftmost column. The Number 7 stays true to form as highest paying element; awarding ½, 1, 1 ½, or 2 win-credits on 3, 4, 5 or 6, aligning as winning combination. A WILD card occasionally appears in any reel. When in view, it heightens chances of connecting alike symbols by acting as eligible substitute icon. In free rounds, a random reel element will be selected to act as Extra Wild; all the more boosting chances of reaping bonuses via connected symbols. 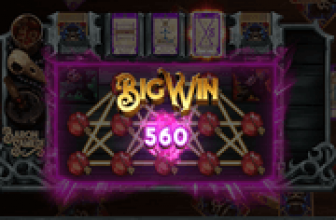 The most exciting outcomes are those that include Mega Tiles because they double the payout value if they connect as winning combos. The Mega Tiles double-paying attribute applies even to Free-Spins Symbols. The larger the size of the Mega Tiles therefore, the greater the potential number of free-spins to roll out as bonus games. The next best thing that could happen is for the free round to retrigger. Such an event not only extends the bonus round. It also chooses another icon to occur as Extra Wild; therefore increasing the number of substitute icons that will help identical icons connect in every win-way possible. Any icon may emerge as a Mega Tile, including the Free-Spins emblem. Mega Tiles may come around as a 2×2 or a 3×3 block of image, carrying 4 or 9 units of the icon. If by chance two (2) identical Mega Tiles of any size land on connected positions, or combine with single cell icons of the same type, the resulting payout doubles. 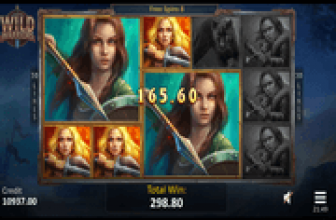 The larger the Mega Tiles, the greater the equivalent number of winning icons appraised for double wins. One-of-a-kind Mega Tile connections though, must still commence from the leftmost reel to qualify as winning arrangement. Àt least three (3), or up to a maximum of 20 free games can be won if three (3) single-cell, or Mega Tiles Free-Spins icons land simultaneously on reels. This game though, does not furnish detailed info on how free-spin rewards are determined if Mega Tiles activated a bonus round. Nevertheless, a quick count of free-spin numbers transpires once the bonus round initialises. The bonus round commences with a random selection of a reel element that will act as Extra Wild. That being the case, the Extra Wild is likely to appear more often as outcome, than the Regular WILD emblem. Single-cell or Mega Tiles Free-Spin Symbols may still emerge even during free rounds. A bonus round therefore may extend with a fresh set of free games. Awesome even is that if a round retriggers, another random regular symbol will be designated as Extra Wild. The extended bonus round therefore, will carry on with more win-boosting elements: the Regular Wild plus 2 Extra Wilds. Fruit Blox : Mega Tile Winning Connections and Free-Spins Extra Wilds Make Big Wins Possible! Fruit Blox online slot modernises a Vegas-style slot by presenting traditional elements in a 4x6 grid that yields Mega Tiles. When a winning connection of 2 or more 2x2 and/or 3x3 block of images strikes a win, the resulting payout doubles. The same 2x-paying attribute applies to a winning connection of Mega Free-Spins Tiles. The number of spins awarded increase based on the number and sizes of Mega Tiles activating the bonus round. Free rounds are likewise eventful, since a random symbol receives designation as Extra Wilds. If a bonus bout retriggers, another icon will be chosen to further enhance the grid with additional Extra Wilds.